In 1954, my mother and her mother set sail for Canada. I still have her steamer trunk and my Nana's drop-front desk - one of several pieces of furniture they brought with them and have been distributed among the grandchildren. And I have Mum's books. So far as I can tell, she must have brought at at least a couple of boxes with her. Cheaply-bound hardcover copies of Georgette Heyer's historical romances, her collection of John Buchan novels, original pocketbook editions of Dorothy Sayers and Agatha Christie provided the core of a library she would add to right up to her death in 1999. 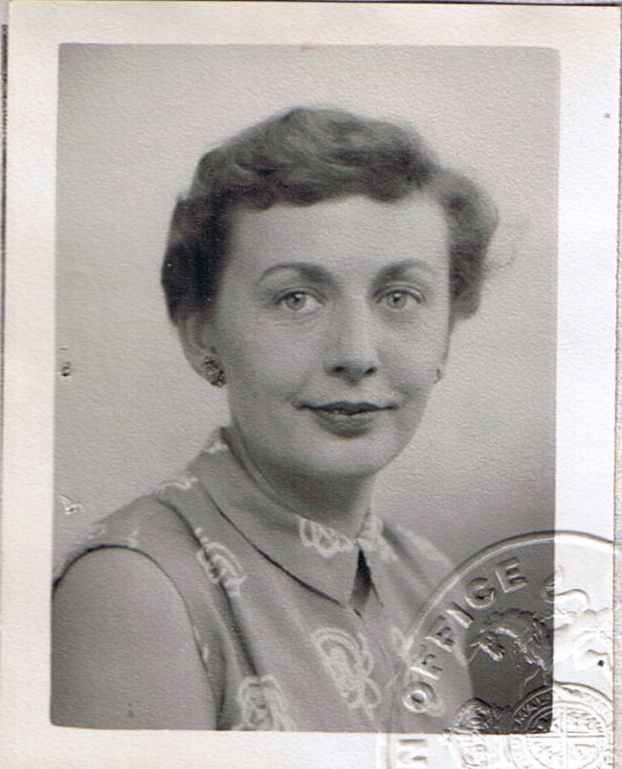 Mum worked for the Phoenix Insurance Company in England and was able to transfer to the Toronto office when she emigrated. A feminist to the core, Mum broke a few glass ceilings in her day. 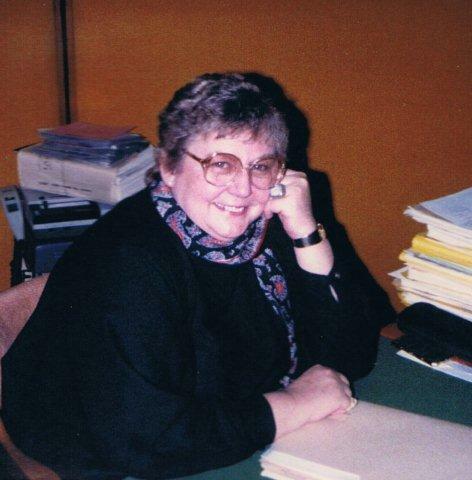 She was the first woman claims adjuster in England, then was the first woman claims examiner. In Canada, she got to be the first in each field all over again. (She met my father over the phone dealing with broken windshield claims.) Yet, when she was pregnant with me, she left the field to be a stay-at-home mother. 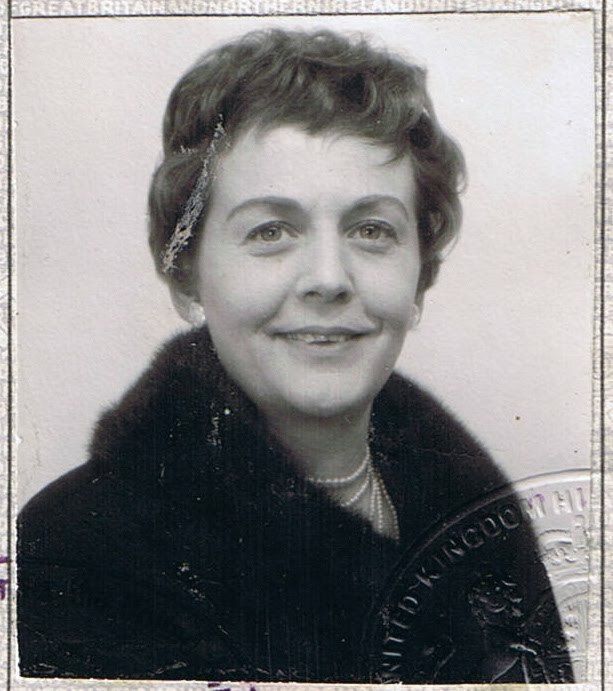 My mother would have made a great model for an amateur sleuth in a period mystery. (An idea I'll have to put on the back-burner for now.) She was a highly intelligent woman who had to downplay her intelligence around my father's business associates -- a "housewife" who didn't fit in well with other housewives at the time. She was a heavy smoker that volunteered for the Canadian Cancer Society. She even had a troop of girls at her disposal (oh the things I could do with that) because she led one of the local Girl Guide companies. Kate's mother in Deadly Legacy is partly modeled on Mum. Her fashion-sense and relationship with her daughter is drawn from life... with a few significant differences. My parents' marriage remained intact, though my father (like Kate's) was a workaholic. My mother went back to school when I was twelve because she had no desire to live her life through her husband and children. Although she studied to be a library technician, she ended up back in insurance. The skills she learned were put to use sorting and maintaining her own library. (I have a copy of False Colours by Georgette Heyer with a corduroy spine because Mum used material scraps from her sewing projects to repair binding.) 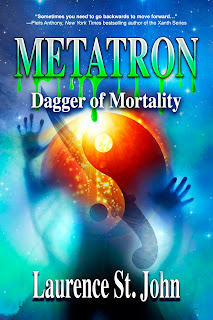 If she had got a job at a library, I might have written "Death in the Stacks", instead, her shop talk inspired an insurance based murder mystery. So, happy birthday Mum. Thank you for making me a reader and allowing me to be a dreamer. I wish you could have been around to see me become a published author -- but I like to think that you, Dad, Joey, Aunty Yang and Aunt Ruth are rooting for me somewhere, as the rest of our family are rooting for me here. What a wonderful tribute to your Mum! She sounds like an amazing woman. You were fortunate to have such a caring, intelligent mother. I'm sure she, your dad and the rest of your family are routing for you from on high, just as friends (including me) and family are down here. Thanks Lyn! What would we do without our cheering section? Never mind - I don't even want to think about it. Happy Birthday Taunty Jo! I know you helped Lally out with her writing in more ways than one. I can see you sitting beside her, cigarette and mug in hand, telling stories while Lally worked on the computer. I also know how proud you are of her, as we all are, for her great achievements. Happy Birthday to your Mum, Alison. She was quite a lady and trailblazer! She was all that and a great storyteller too. I inherited my mother's ability to weave a story and my father's off-beat sense of humour.